The Committee consists of elected officers and up to twelve full or co-opted members drawn from Club members across the board, be they “showing” or “obedience” people. The full Committee meets on a regular basis (usually every two months) to discuss the management of the Society and holds an AGM in March each year to which all members are invited. Committee members are elected for three year periods of office at the AGMs and the financial accounts are received. 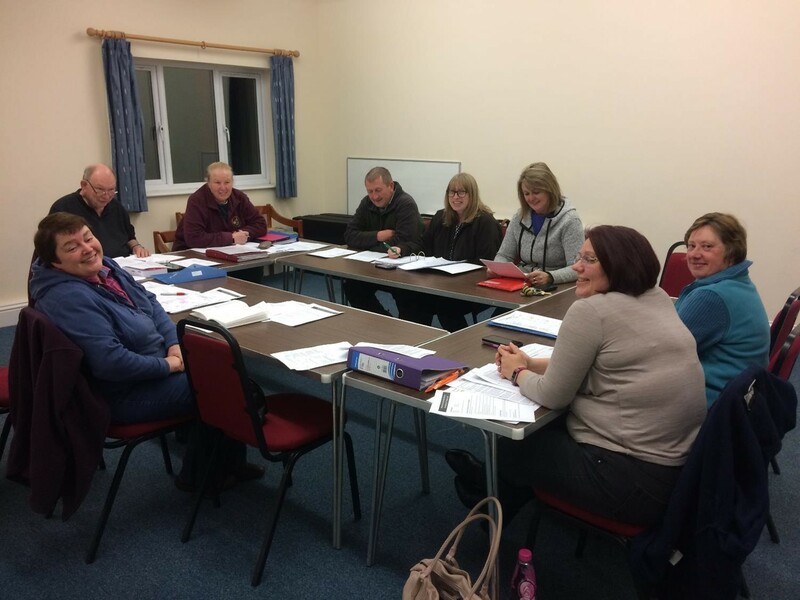 Committee meetings follow a formal agenda covering ongoing topics such as Training rotas, Club matches, Shows, finances, Kennel Club communications etc. with additional matters, according to the activities the Club is engaged in at various times throughout the year. These include the organisation of Companion, Limit and Open shows, Christmas and New Year Parties, Good Citizen Dog Scheme Awards, and plans for education seminars. An Obedience sub-committee which manages all operational matters involved with the Good Citizen training, class sizes and scheduling of formal assessment sessions. Both sub-committees report back to the subsequent full Committee meeting. No financial decisions without full Committee involvement. Our Committee members are also actively involved with the Obedience and Ring Craft Training sessions held on a Wednesday and Thursday nights. They can offer direct experience and advice to our members in Obedience or Showing techniques. There is a small Training charge to cover the running costs and administration of the Society but none of our Trainers receive any remuneration for delivering training: their time and expertise is provided on a voluntary basis. All our Trainers covering either Ring Craft or Obedience follow recommendations of The Kennel Club for Showing and the Good Citizen Dog Scheme. Chippenham & District Canine Society Was founded in 1961 by Mr. G G Mitchell (Mastrovic) of Chippenham. The first Show was held in March 1962 on the grounds opposite The Pheasant Inn, Chippenham. The Show was judged by Mr. Frank Warner-Hill. In 1963 the Show was held at the Castle-Combe Racing Circuit. At The West Wilts Equestrian Centre Holt Nr Melksham Wilts BA14 6QT on the first Sunday in April.